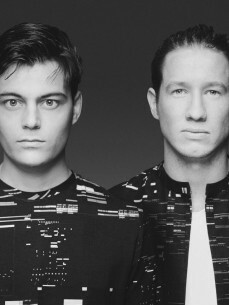 Volt & State are the eminent Dutch production duo that have captivated dance music lovers across the globe with their enthralling and emphatic sound. Martijn Kouwen (Martin Volt) and Quirijn Smits (Quentin State) joined forces after they crossed paths online, drawn together by their mutual love for music and production. Part of the revered Protocol Family, and in fact the first act Protocol have ever committed to on both a management and recordings level, this dynamic duo have received support from some of the biggest names in the game, and are showing absolutely no signs of slowing down! In a short space of time, this double act have demonstrated their astounding talent through consecutive quality releases on some of the most prominent labels, including Spinnin’, Protocol, Revealed and Armada. Smashing the Beatport Charts with their original tracks over the past two years, they have unleashed ‘Fugitive’, ‘Conspiracy’, ‘Rush’, and their monster of a track ‘Black & White’ with Merk & Kremont. Vindicating their reputation as remix-masters, Volt & State have also emitted adept official edits for the likes of Orjan Nilsen, Nicky Romero, Enrique Iglesias and many more. Reaching well over 60,000 likes on Facebook, and landing sets at some of the world’s most prominent nightclubs and festivals, these two are striding further and further into the limelight.